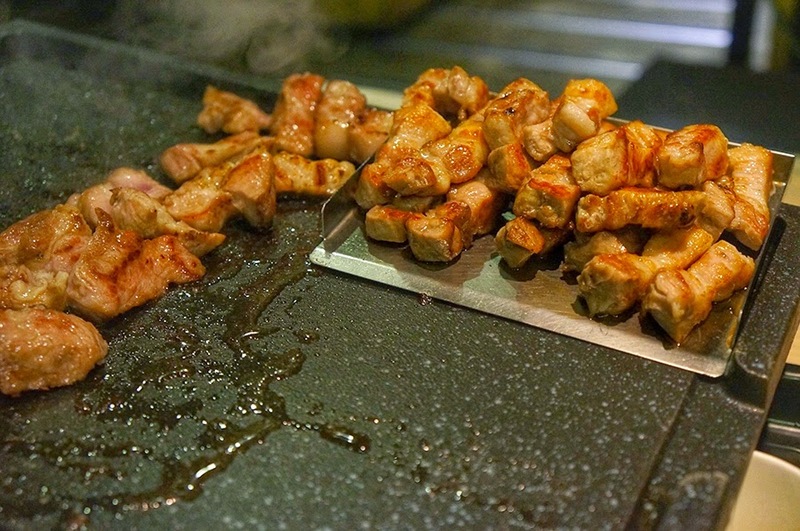 Korean BBQ restaurants are everywhere in Korea but what sets this place apart is their service! 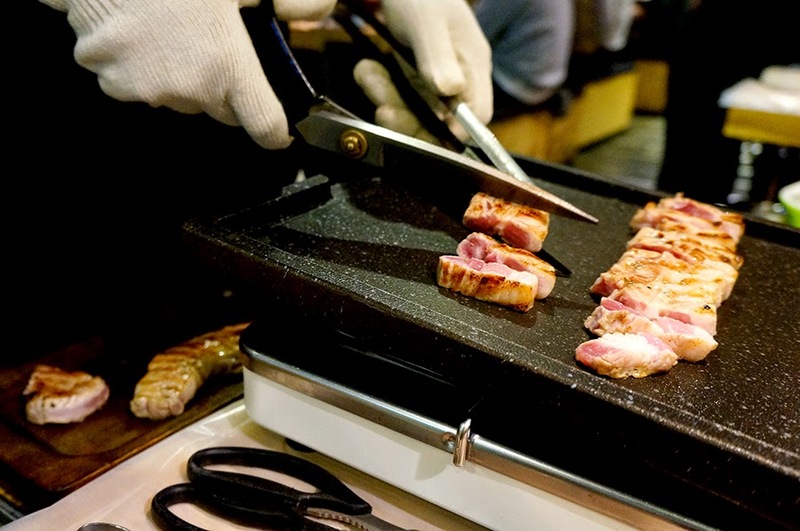 They'll cook your meat to perfection and best of all, they are using fresh (non frozen) meat. 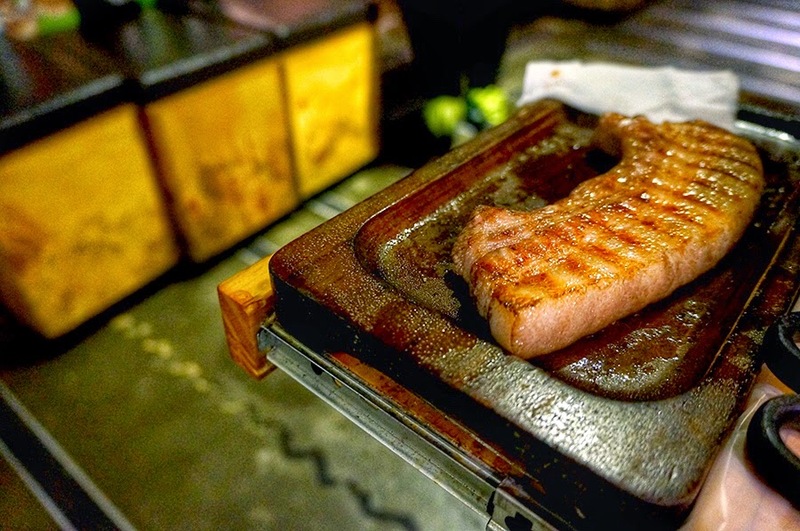 Prices here are also similar to other road side bbq yourself joints and oh! 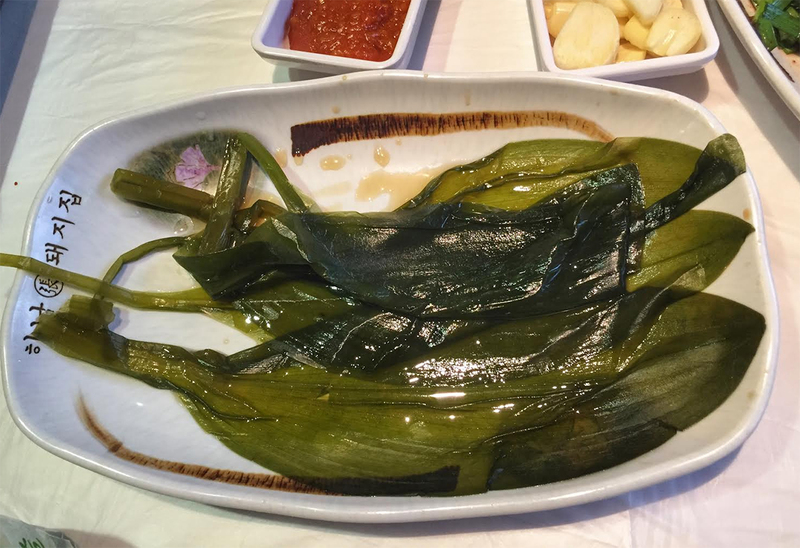 you should probably stay away from korean bbq buffets as their meat are usually frozen and less tasty. 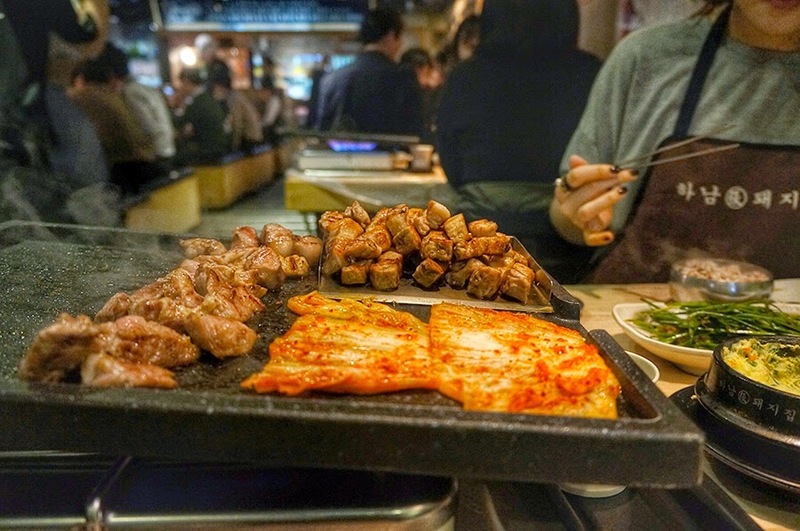 This place is a great pick if it's your first time to Korea and/or you don't know how to bbq well or if you are in a big starving group! Because it can be annoying to be the only one bbq-ing while the rest just eats off your hard work. (...trust me, i KNOW). 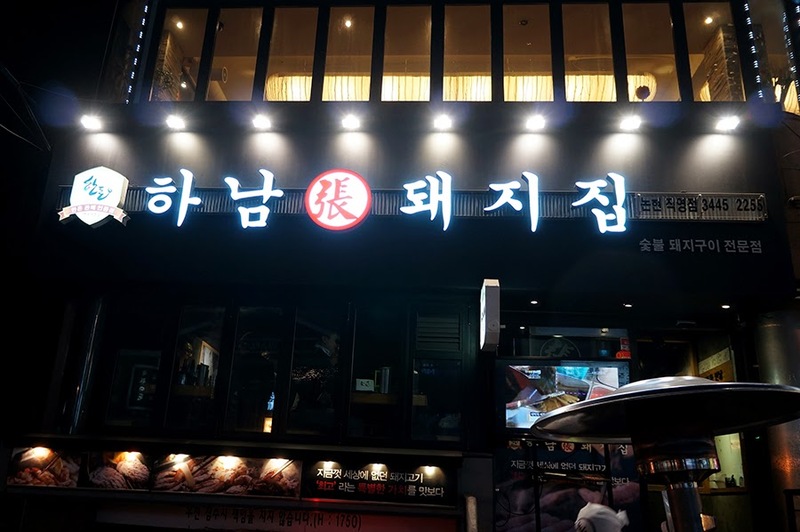 하남돼지집 (Hanam dwe-ji jib) or loosely translated to "hanam pig house" is a chain restaurant and currently mushrooming at many spots in town. I've been to 2 of their outlets at Dangsan and Sinnohyeon station. Both are pretty close to the train exits hence you wouldn't get too lost (just look out for the cute pink pig mascot, it's at the front of every outlet to greet you in!). Also, don't worry if you can't speak Korean as the menu comes with pictures in it! How should you order? 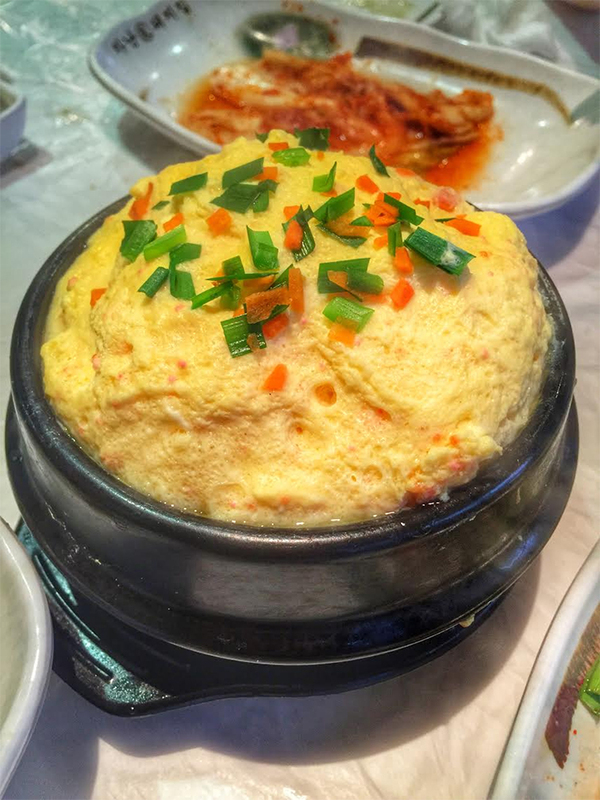 Well, order a steam egg, two bowls of rice and probably 3 servings of meat for 2 pax if you eat like a normal person. 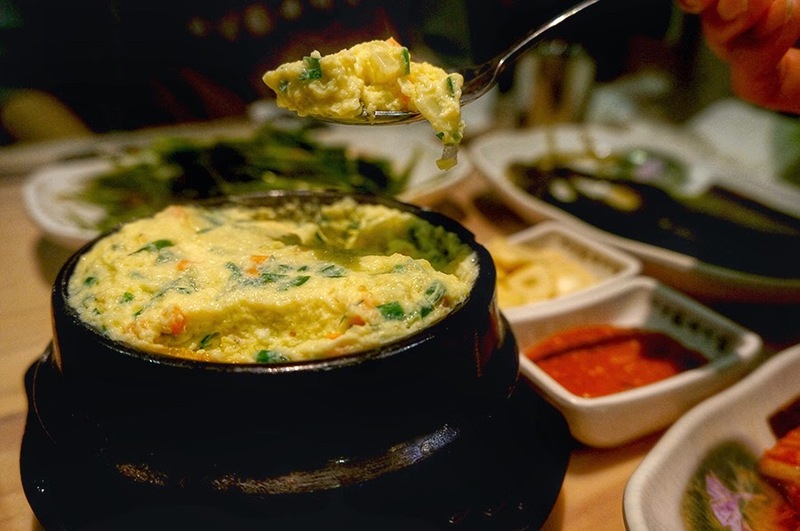 Don't bother on kimchi soup if you plan on having desserts later. The staffs are all clad in uniforms and they have a waist pouch that carries a thermostat device and scissors. 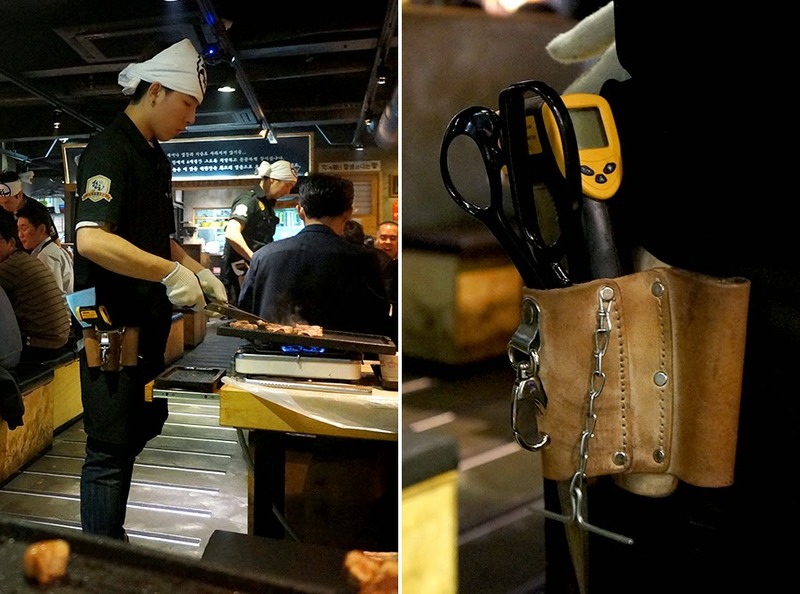 Very impressive as you don't see this kind of gadget being used at ordinary bbq joints. 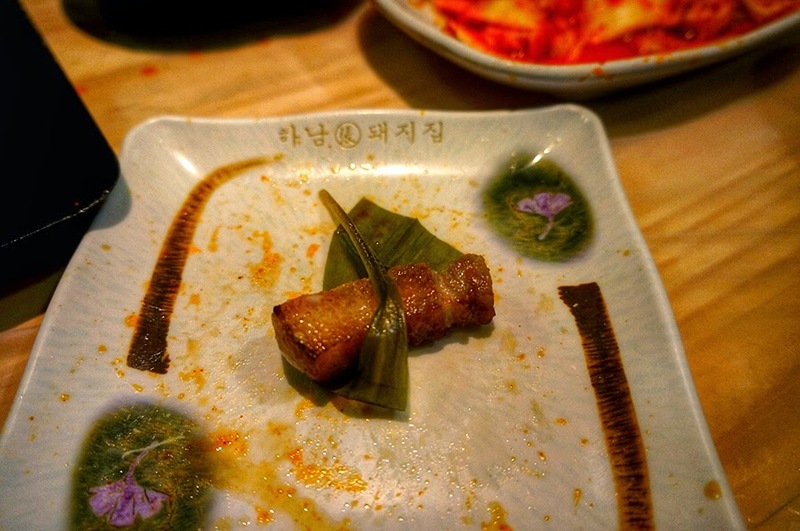 There's a leaf side dish called "myong-i na muel" (which they will charge 1,000won for a refill), it's their signature preserve leaf dish - best wrapped around the samgyupsal / pork belly before inserting into your mouth. *Updates: I personally think the outlet in Sinnohyeon has a better service. Directions: Dangsan station (line 2, exit 1). 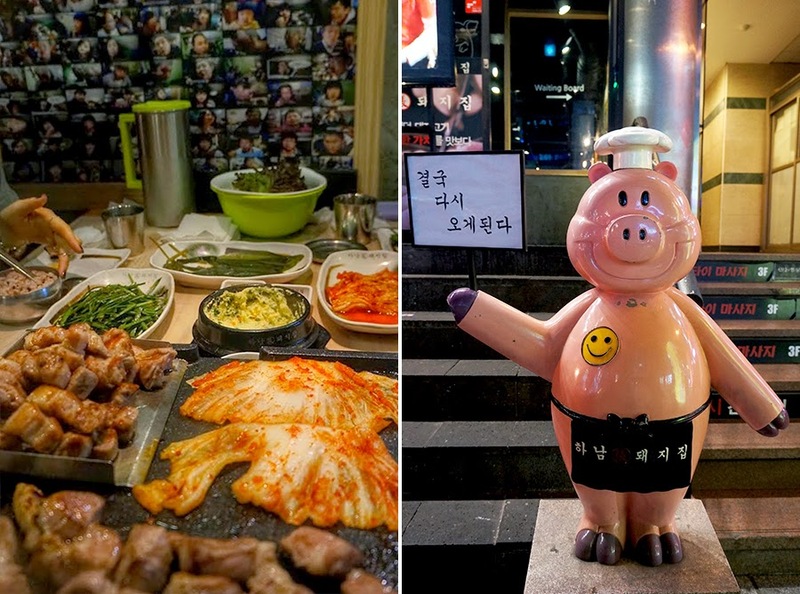 Once you walk down the stairs, turn left and walk straight into the rows of shops till you see the piggy statue- the restaurant will be on your left.